The "Scène Ouverte" was introduced at the third edition of the Festival. 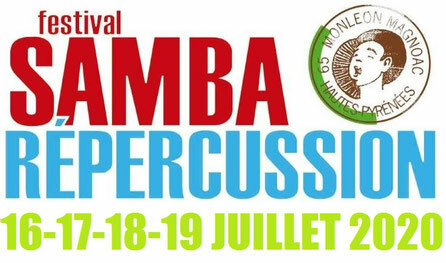 The idea behind it was to create a platform for non-professional groups (batucadas, samba de roda, pagode, solo acts, duos, trios and street performances) to perform even though they couldn’t be programmed into the Festival schedule during the year. A great many percussionists had clearly experienced a weekend of frustration listening to the batacudas but with no chance of playing. It’s a simple idea – a stage open to spectators. Sign up for a slot at a particular time and savour the unforgettable experience of being a Festival performer. This year the "Scène Ouverte" will again be open to individuals and groups. You can book slots of 45 minutes each for times between 7pm and 2am on all three Festival days. It’s a first-come, first-served system but you can also book a slot at the "Open Scene" bar on the day, depending on availability. Download your "Open Scene" from here. Then fill it in, give your preferred day/time and email it to the address on the form.